. : "I was hungry, and you gave me something to eat"
"I was hungry, and you gave me something to eat"
Jesus said that one of the marks that indicate that someone is a follower of His is that they value and show love for people, including the least of these. Everyone can agree that when we give to those in need, it's not only a good thing, but it produces in the giver remarkable joy! When you give, you get. 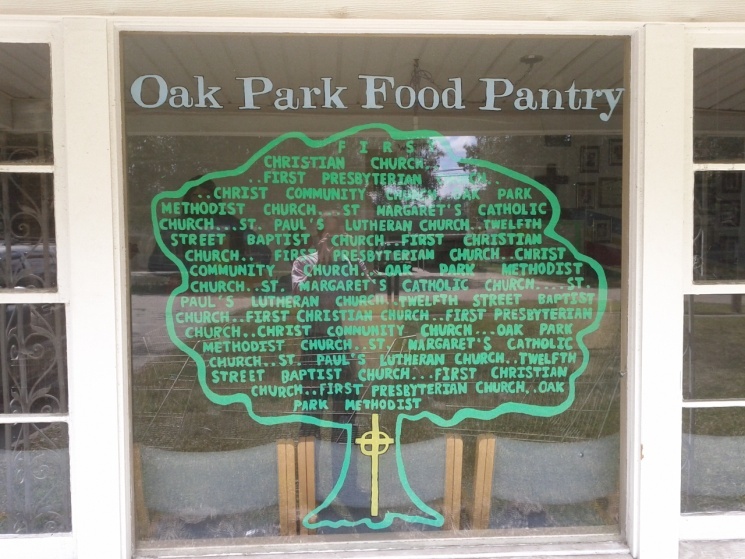 Today, theCityChurch begins a Thanksgiving food drive to raise food for Oak Park Food Pantry and Abraham's Tent. 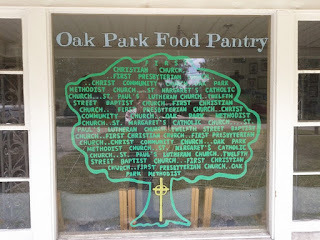 These two organizations feed the hungry in our area. Both exist from the gifts of individuals and organizations. Both have needs for support. That's where you and I come in! So, if you got a knock on your door, or found a flyer, we are welcoming you to support these two organizations with a donation of food (you can give money as well, if you want). I've never been really hungry, and never worried where my next meal was coming from. But in recent years, I've become more in touch with what this might be like. God loves every person, and wants His concern for them to be felt. He told the people who follow Him to treat the least of these as they would treat the King Himself! We are desiring that our city would be different, more like way God intended, with pain and hunger and despair wiped away by His loving hand. P.S. Here are a couple of videos shot in front of each organization.